Plenty of moves in 2018 were entertaining but not family-friendly. Others were family-friendly … but not entertaining. Thankfully, 2018 gave us plenty of films that were both entertaining and family-friendly. Here are my favorite 10. The 2014 movie Paddington was among the best family-friendly films of all time. Its sequel, Paddington 2, may have been even better. The movie follows our favorite Peruvian bear as he tries to prove his innocence following a wrongful arrest (The charge: stealing a book.) Now in jail, Paddington transforms his fellow prisoners with acts of kindness. Paddington 2—which has a perfect score at RottenTomatoes.com—includes great lessons on selflessness, caring for others, and treating others the way you want to be treated. Rated PG for some action and mild rude humor. Live action/CGI. Thomas McGregor is a city dweller who has inherited a picturesque countryside house from his deceased uncle. Unfortunately for him, the land is inhabited by rabbits who won’t back down when challenged. Peter Rabbit is a fun film for those who enjoy the wacky, unrealistic violence found in the classic Coyote-Road Runner cartoons. If that’s not your cup of tea, then you probably should avoid this one (the film also gained unwelcome notoriety for a scene in which the rabbits shoot a blackberry into the mouth of an allergic McGregor). Peter Rabbit gives us lessons on forgiveness, friendship and reconciliation. Rated PG for some rude humor and action. Live action/CGI. The most decorated war dog in American history brings cheer to the battlefield and helps save lives, too. The movie is based on the true story of Stubby, the mascot of the 102nd Infantry Regiment during World War I. It was released during the centennial commemoration of the war’s end. Although the movie addresses war and death, it remains kid-friendly. My 6-year-old twins loved it. Rated PG for war action and some thematic elements. Animated. A workaholic father rediscovers the simple pleasures of life when his childhood friends—Winnie the Pooh, Tigger, Piglet, Roo and Eeyore—pay him a visit. The movie should not be confused with 2017’s Goodbye Christopher Robin, which told how author AA Milne became inspired to write the Winnie the Pooh books by watching his son, Christopher Robin. In Disney’s Christopher Robin, the boy is all grown up. Parents get lessons on keeping work in perspective. Children learn about putting others first and encouraging one another. Rated PG for some action. Live action/CGI. The classic story by author Louisa May Alcott (1832–1888) gets re-told in a modern setting. It has the same characters (Jo, Meg, Beth and Amy) and the same story outline, too (we watch the girls age over the course of 13 years). It was the first film directed by filmmaker Clare Niederpruem, who co-wrote the script and wanted to draw a new base of fans to the story. She read the novel as a child, taking in its great messages about love, friendship, sisterhood, peer pressure, tragedy, death, regret, moving on and forgiveness. Due to some adult themes, this version may be best for tweens and teens. Rated PG-13 for some thematic elements and teen drinking. Live action. A timid teenage girl named Clara enters a fantasy world, where she searches for the key to unlock a gift box from her deceased mother. Once there, she discovers something more important: her identity. Don’t let the title fool you; it’s not a ballet. Instead, it’s a family-friendly film that even boys should enjoy (my 10-year-old son liked it). It contains great lessons about confidence and courage. Screenwriter Ashleigh Powell told Crosswalk she wrote the film as a “love letter” to her children. Rated PG for some mild peril and minor language. Live action/CGI. The famous story by Dr. Seuss gets re-told in this film by the studio Illumination, which gives us a kinder (but still grouchy) Mr. Grinch. The story gets a boost in the family-friendly realm for its inclusion of two Christ-centric Christmas songs—God Rest Ye Merry Gentlemen and Silent Night—which are heard prominently. The film features great messages, too. Here are just a few of those messages: gifts and decorations aren’t necessary to celebrate Christmas; and materialism doesn’t bring joy. As Donna Who says at the end: “[The Grinch] didn’t steal Christmas. He just stole stuff.” Rated PG for brief rude humor. Animated. Miles Morales is a teen boy who is struggling to fit in at school and find his place in this world. After getting bitten by a radioactive spider, however, his life forever changes. Spider-Man: Into the Spider-Verse tells the story of Morales and five other “Spider people” from different universes who are stuck in this world and are trying to make it back home. That may sound goofy in print, but it’s fun to watch on the big screen. The film has a strong fatherhood theme and provides great messages about self-sacrifice, courage and humility. Rated PG for frenetic sequences of animated action violence, thematic elements and mild language. Animated. Michael Banks recently lost his wife to a sudden death, and now he’s facing eviction from his home. All hope seems lost, until an old friend—Mary Poppins—drops from the sky underneath her iconic umbrella. She promises to watch the children while Banks gets his life under control. 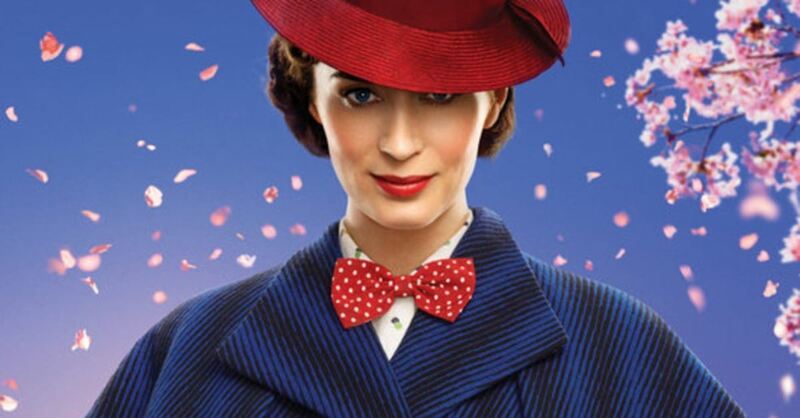 While Mary Poppins Returns might not compare to the original, it nevertheless has several catchy tunes and plenty of family fun. Its celebration of laughter, creativity and imagination is a message we all need to hear. Rated PG for some mild thematic elements and brief action. Live action. A video game character (Ralph) and his friend (Vanellope) race through the internet in search of the part to fix Vanellope’s real-world arcade game. If they fail, Vanellope will be without a job. The film is original, entertaining and funny. It also includes Disney universe characters you may not have expected, including R2-D2, C-3PO, Baby Groot and nearly every Disney princess ever created. The film’s messages about friendship and the internet’s perils are much-needed. Rated PG for some action and rude humor. Animated.